Practical uses of composite materials in different industries (R&D Conference). Please note! 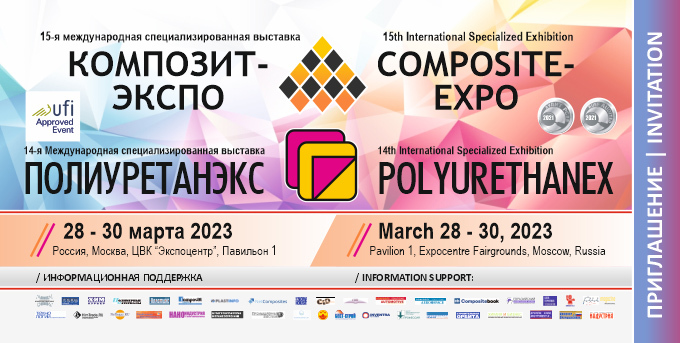 Visiting is free of charge if you register to visit Composite-Expo 2019 Exhibition. You should PRINT the ticket after registration! If you want to take part in the conference as a visitor, please, fill in the form below. In this case you will be able to visit the Polyurethanex Exhibition as well.